If you asked people where Egyptian royalty was typically buried, most would point to the Pyramids of Giza. While pyramid-style tombs were indeed used by kings and queens throughout the Old Kingdom period, the structures came with several significant flaws. Their gargantuan size matched the inflated egos of the Pharaohs, but stood out to looters on the hunt for treasure. As a result, no pyramid has ever been found with its contents in tact. After centuries of grave robberies, it was clear that an alternative to burial pyramids was needed; one that was hidden, yet would still allow for an exhibition of grandeur. At the commencement of the New Kingdom period, the ancient Egyptians started burying their royals in the Valley of the Kings. The new site was located in the southern city of Thebes (now known as Luxor) and was a much more subtle alternative to its predecessor. Hidden amongst the Valley, the new tombs were either underground or carved into rock and often featured winding corridors to throw off would-be robbers. Another advantage of this new site was its protection from the elements. To this day, the original murals painted inside the tombs are still colourful, unlike most other ancient sites across the globe. 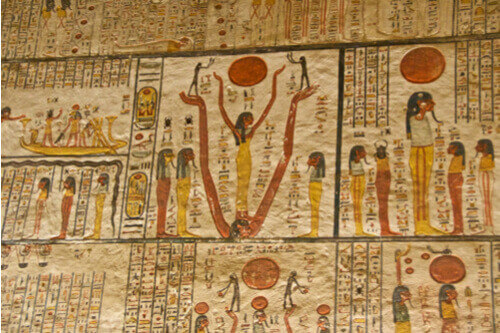 There are 62 known tombs in the Valley of the Kings and approximately 75 in the neighbouring Valley of the Queens, where wives of Pharaohs and Princesses were buried. Today, only one tomb still contains the mummy originally found inside: that of the famous King Tutankhamun. The remaining mummies are located in museums across the country, along with any treasures found with them. Although wandering through a tomb may seem harmless, experts believe the humidity and increased carbon dioxide levels produced by mass tourism are affecting their stability and may cause irreparable damage. To combat this, only 18-20 tombs are open to the public at one time. 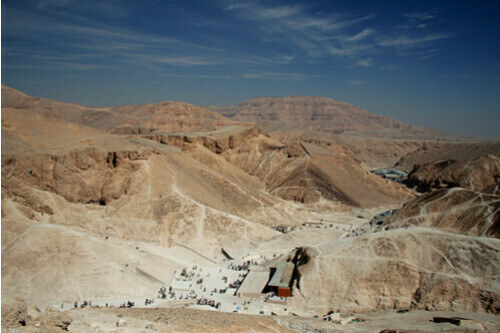 Tourists can enter three tombs of their choice with one entry ticket, however several of the most notable burial sites - including Tutankhamun and Seti I - require an additional ticket for entry. When you arrive at the Valley, the first thing you’ll notice is how barren the landscape looks. Tucked into the surrounding mountains and practically invisible from a distance, it’s no surprise why this site was chosen to conceal some of Egypt’s most important royalty and the treasures accompanying them into the afterlife. Start with a walk through the visitor centre and learn about the Valley’s layout with the help of the 3D model in the lobby. If you’re eager to visit any tombs requiring extra tickets or you wish to buy a photography pass, this is the place to do so. 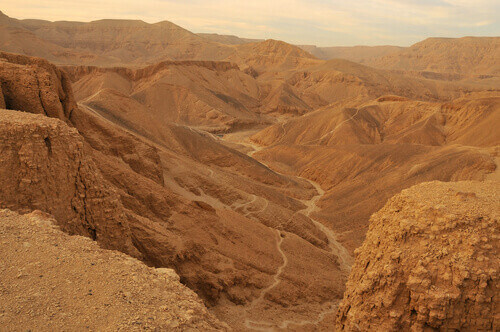 Next, head outside and follow the swirling desert dust up to the tombs, either by foot or shuttle. 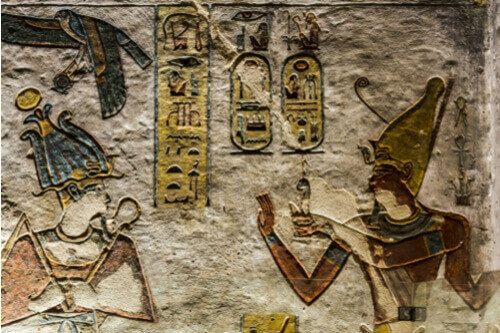 The best tombs in the Valley of the Kings are hotly debated, but those belonging to Seti I, Ramses VI and Ramses IV are considered the most elaborate and in tact. 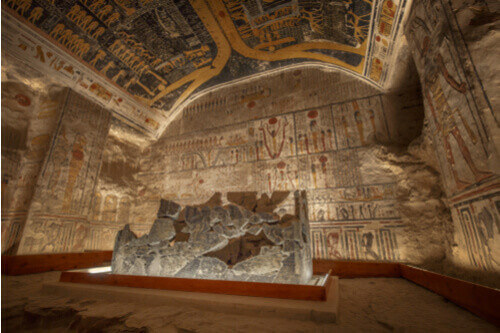 Take your time wandering the cavernous tombs and examining the walls adorned in intricate reliefs. Many depict significant gods, while others feature inscriptions from influential texts of the time like the Book of Day and Book of Night. In some there are life-sized paintings of the pharaohs themselves, while others like the tomb of Ramses IV have colourful hieroglyphic carvings covering almost every surface. No matter which tombs you decide to enter, you’re guaranteed to be blown away.